The hits just keep coming for hard-working medical marijuana dispensaries in California, especially those in Riverside County where authorities have announced they are going to try to shut them down, The Desert Sun is reporting. Ever since California voters agreed to legalize marijuana some 15 years ago, it has been a constant struggle. In recent months, federal authorities have cracked down, forcing a political agenda on the many companies that have operated — legally — under California law. But that pressure has created problems on a local level. Many timid local officials have succumbed to federal pressure and begun going after these businesses, too. Our California medical marijuana lawyers are well-versed in the controversy going on not only in Riverside County, but also in other communities throughout California. We are willing and able to represent these businesses who are hard-working and who are just trying to run their companies. The Desert Sun reports that the Riverside County Board of Supervisors has given its attorneys permission to sue pot shops in the unincorporated county as well as property owners who allow them to operate. The only alternative, county officials say, is for the shops to close down. The county passed ordinances banning medical marijuana dispensaries in 2006, the newspaper reports, though officials last year considered an ordinance last year that would allow for a regulated form of dispensaries. They later decided to uphold the ban and keep it in place. County officials, though, estimate that about 50 medical marijuana dispensaries popped up last year in the county’s unincorporated areas in response to the demand of its residents who legally have cards to purchase marijuana for medical use. 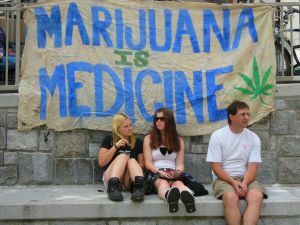 These residents typically have various forms of cancer or other ailments that require marijuana for medicinal purposes. County attorneys told the newspaper in 2010 that the reason some dispensaries were operating was because of “vaguely written laws” by state lawmakers that have allowed them to operate. A majority of voters made it pretty clear that they supported legalizing marijuana for medicinal purposes — that wasn’t vague at all. And even though state law allows for these small businesses to operate, they conflict with federal drug laws, which is why there is an ongoing conflict. Federal authorities, in an effort to garner political favor apparently, have made it a point in the last year to say they would prosecute businesses and the people who rent to them. That is a powerful threat and has led to hundreds of dispensaries shutting down or not registering with the counties or cities where they are operating for fear of being shut down. Our medical marijuana lawyers are prepared to take up the fight on behalf of these small business owners and the patients they serve. They serve an important function in our communities and must be well-represented in their fight against the government.